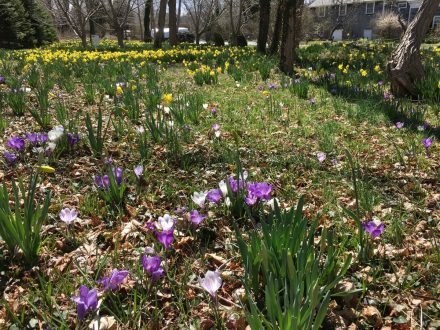 Every year we look forward to our spring time celebration in Brewster- Brewster in Bloom! It is so special on so many different levels and we LOVE IT! Springtime is such a special time of the year. 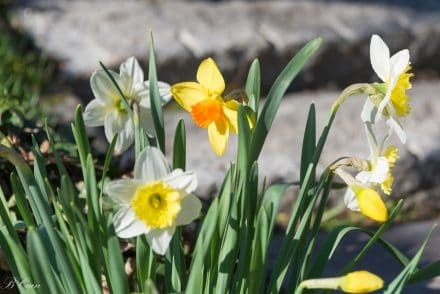 I know we are all looking forward to sunshine and warmer weather after the long northern winter of wind, snow and cold temps. 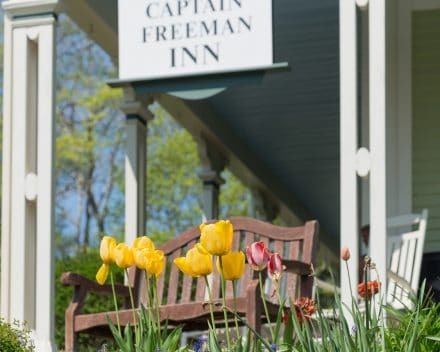 Every time I see a spring bulb pop it just makes me smile, and we have planted thousands of bulbs at the Captain Freeman Inn over the years. This year our town celebration is from May 3rd, 4th & 5th. 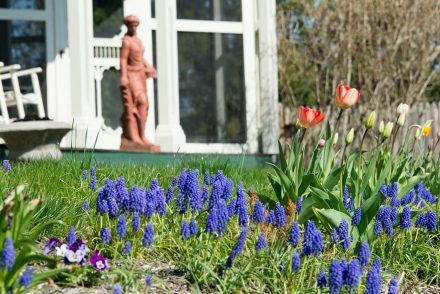 It is our 33rd annual celebration of Brewster in Bloom. As the time gets closer check out the Chamber Web site as it will be filled with daily events for you to enjoy. Almost everything is free and encompasses what old time Americana is all about! 7th ANNUAL ARTS & ANTIQUES EXCURSION… Friday, Saturday and Sunday: 10:00 am to closing. A self-guided tour of Brewster’s numerous antique and art galleries. Participating galleries are shown in RED: please see individual gallery listings for exact days, times and offers! Our kids, Nathan and April running the race many years ago. 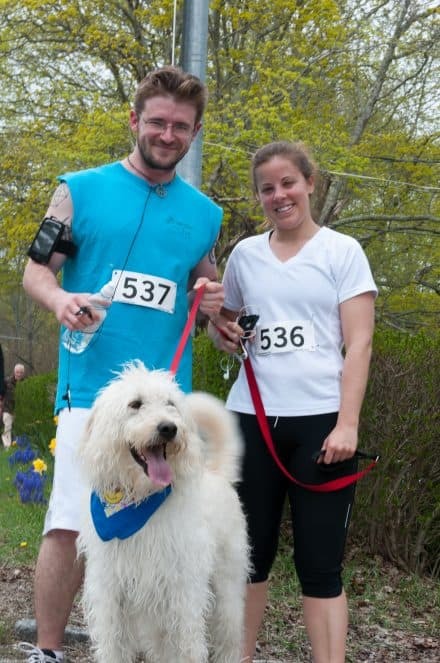 5K BLOOM RUN presented by CAPE COD 5… Saturday at 10:00 am: Starts at the Brewster Inn and Chowder House, 1993 Main Street. Registration opens 8:30 am. Register in advance at www.BrewsterRecreation.com. 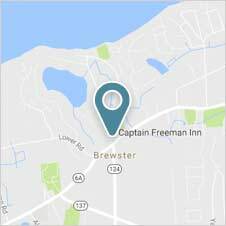 OPEN HOUSE AT THE CAPTAIN FREEMAN INN- This year the inn is hosting an Open House in collaboration with the Brewster Ponds Coalition. 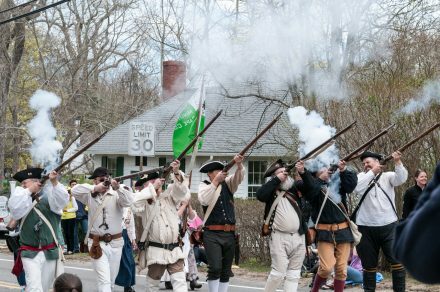 The Open House will be On Sunday May 5th from 2-4. and will include truffle tasting from Brewster Sweets and tours of the first floor of the inn along with answering any questions about our inn’s history. Come enjoy a few truffles and learn about what the coalition is doing to protect our treasured Brewster Ponds. 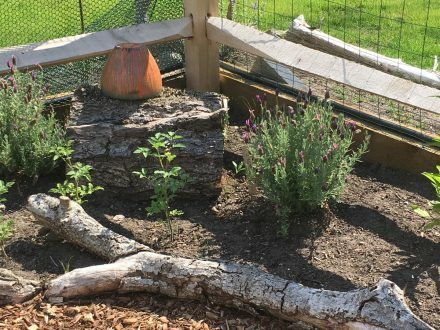 I love our gardens at the inn, especially our country garden where we grow lavender, herbs and vegetables for our breakfasts. This will be our 4th year of harvest and we are achieving our goals of creating a bountiful garden that is fun to look at and walk through. We love lavender at the inn and last year we were able to add many more lavender plants that surround our fountain. 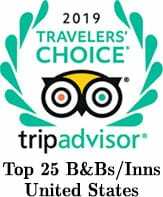 We were just voted #7 best bed and breakfast in North America by Trip Adviser readers-come and experience our southern hospitality and see why! 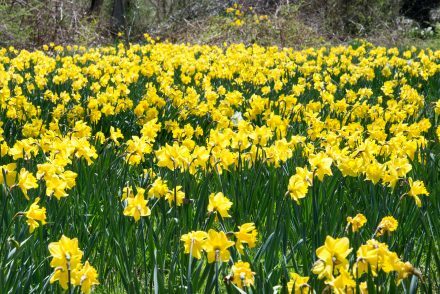 We are almost totally booked for the Brewster in Bloom Weekend so book your stay with us today. Check out a previous blog for all of the romantic restaurants we love to recommend on Cape Cod.